Antibiotics and similar drugs, together called antimicrobial agents, have been used for the last 70 years to treat patients who have infectious diseases. These drugs have greatly reduced illness and death from infectious diseases. When prescribed and taken correctly, the value of antibiotic use in patient care is enormous. However, these drugs have been used so widely (at times inappropriately) and for so long that the infectious organisms the antibiotics are designed to kill have adapted, making the drugs less effective. 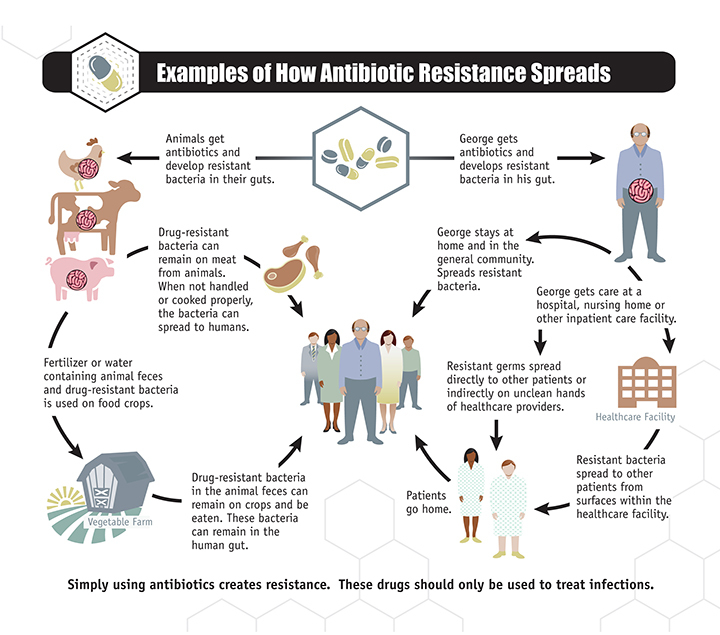 View the images below to better understand how antibiotic resistance can occur and spread. Increased antibiotic resistance, due in part to overuse and misuse of antimicrobials, is one of today’s most urgent public health issues. 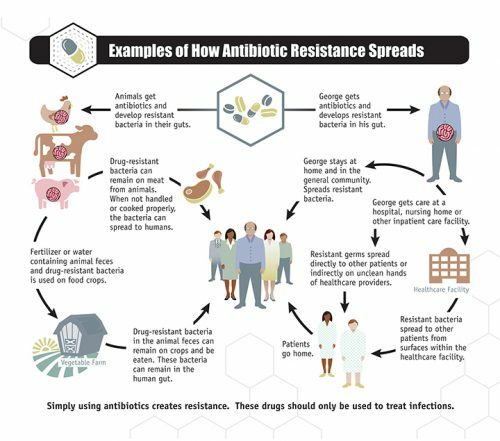 In 2013, CDC estimated that two million people in the United States are infected with an antibiotic resistant infection, resulting in at least 23,000 deaths. 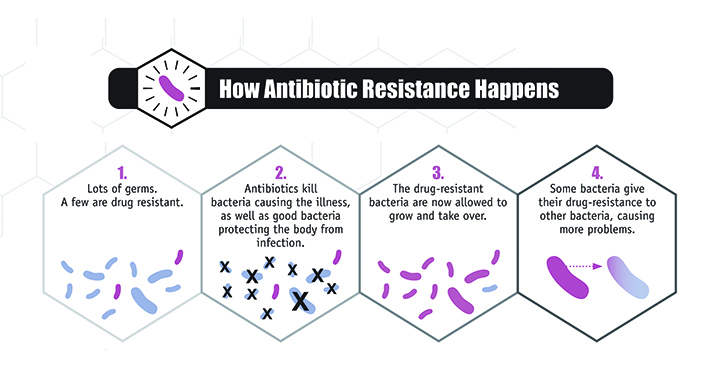 Some microorganisms may develop resistance to a single antimicrobial agent (or related class of agent), while others develop resistance to several antimicrobial agents or classes. These latter organisms are often referred to as multidrug-resistant organisms (MDRO) or MDR strains. In some cases, the microorganisms have become so resistant that no available antibiotics are effective against them. The statewide antibiogram, compiled from antibiograms submitted by all major clinical laboratories in Hawaii, is a useful surveillance tool to understand antimicrobial susceptibility in Hawaii and monitor antibiotic resistance trends over time. 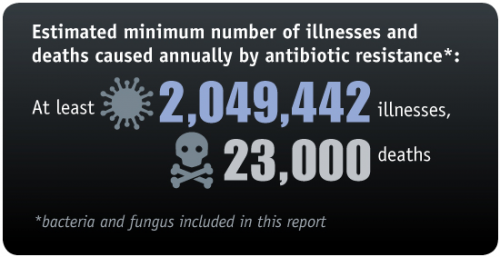 Learn more about the Hawaii State Antibiogram. In 2013, a report was published by CDC outlining the top 18 drug-resistant threats by category of concern: urgent, serious, concerning. Clostridium difficile( difficile) causes life-threatening diarrhea. These infections mostly occur in people who have had both recent medical care and antibiotics. Often, C. difficile infections occur in hospitalized or recently hospitalized patients. Carbapenem-resistant Enterobacteriaceae or CRE, are a family of germs that are difficult to treat because they have high levels of resistance to antibiotics, in particular carbapenems. Enterobacteriaceae are commonly found in normal human intestines (gut). Sometimes these bacteria can spread outside the gut and cause serious infections such as pneumonia, bloodstream infections, urinary tract infections, and wound infections. There are a variety of simple public health strategies that can protect you and your loved ones from bacteria that may cause antibiotic-resistant infections. For more information on these and other antibiotic resistant bacteria, visit the CDC’s website. To view the Hawaii Statewide Antibiogram for Selected Bacteria of Public Health Significance report click here. Regular hand cleaning, particularly before and after certain activities, is one of the best ways to remove germs, avoid getting sick, and prevent the spread of germs to others. It is always better to prevent a disease than to treat it once it occurs. Before vaccines, many individuals died from diseases that are now preventable, such as pertussis (whooping cough), measles, and polio. The germs that caused these diseases still exist today, but these diseases are seen much less often due to childhood vaccination.